In a tiny café, as a soft trumpet frolicks with delicate française, I sip a refreshing afternoon cider. This could be San Francisco, or Toronto, or Penang. But it’s still Denver. I told you I’d be sticking around a while. Another long drag of drink, followed by a breath with more exhaustion than I’d realized. I’d taken some days after E3 to myself, including one to ask someone for the rest of their life (she said yes! ), but the last nine days my head’s been buried. But don’t misunderstand. I’m a overtired, sure, but I’m the happiest I’ve ever been. Let me show you what I’ve been working on! 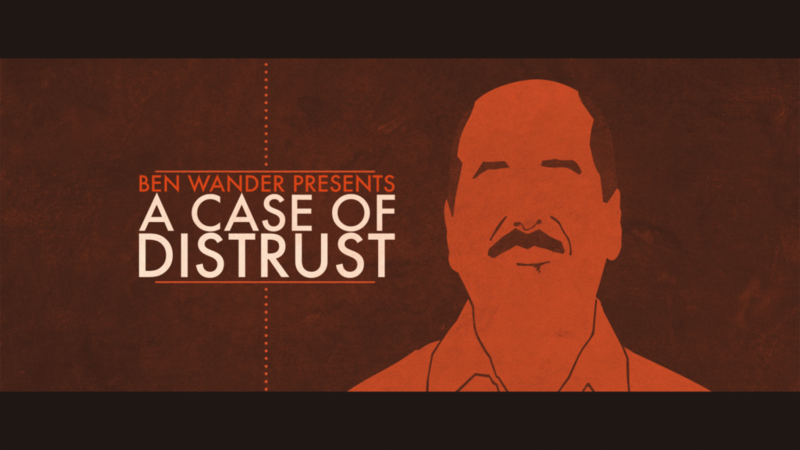 Adventure Gamers, TechRaptor, RPGFan, and NewGameNetwork wrote about A Case of Distrust. There has yet to be a negative article, which is exciting! I’ve also had a few interview requests, so expect more from your favourite game sites in future. I also recorded episode 59 of Gamer Weekly with Justin Bannister. I had a blast, so have a listen if you want a laugh. Imposter syndrome, even these days, factors into my work. Doing interviews and podcasts reminds me that my project is everything I’d want in a game. Whenever I hear myself make the game’s pitch, I get excited, too. They’re fantastic motivation, and I can’t wait to share more! The game progresses smoothly. Before E3, I’d finished the first draft of my story. After a few edits, I traded my pen for a brush, and I created a few more portraits and the final searchable locations in the game. There are many more visuals to still make, but I finally have all the red herrings I need. After writing some more flavour, I’ll have sufficient content to begin proper testing of the game, from start to finish. But just talking about it is a tease. So let me share: the new portrait of Franklin Earnest Conway, played by Andrew Hobson (my future uncle-in-law!). I’ve finished the cider, my neck less sore than when I’d started. It’s been a while since a blog post, and this one is especially long. I promise I won’t leave as large a gap again. Thanks for sticking with me, and with the game. I’m working hard to make this something we’ll all enjoy. That I’m having so much fun along the way is gravy! Lovers again, though all the world may scoff. Sorry I’m late, was away.